ONE of the joys of exploring a foreign city is eating out, discovering the tastes and culture of somewhere new. But increasingly it seems we’re less enamoured by the idea of trawling through online portals only to end up with what is often an unreliable review, or tasting small plates at the latest must-try hotspot — and are in search of something more authentic, more connected to the locals behind the cuisine. 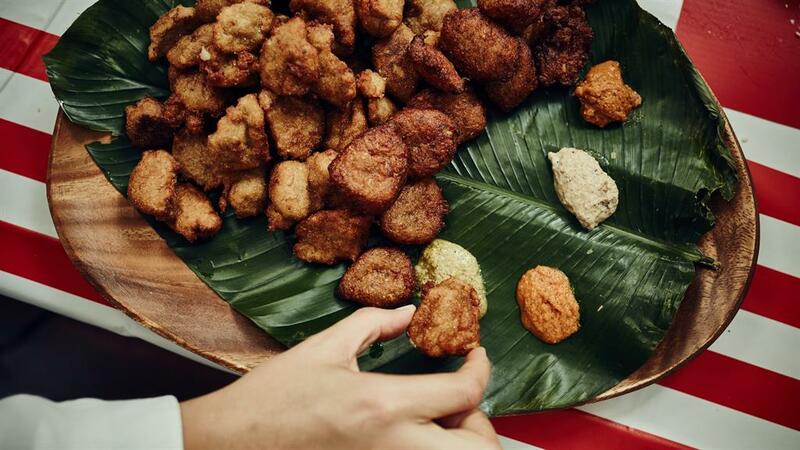 And in an era of pop-ups, supper clubs and sharing platforms, it’s never been easier to invite yourself round to a stranger’s home and tuck into whatever they’re cooking for dinner that night. 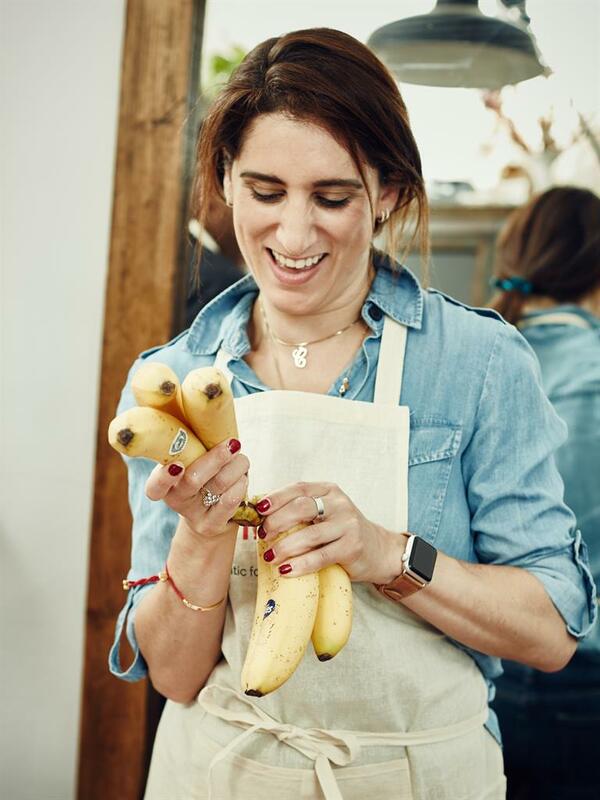 Eatwith, which calls itself a ‘social eating platform’, connects travellers to ‘hand-selected local hosts’ and was born in France in 2014 after co-founder Camille Rumani found that travelling — and dining — abroad left her feeling dissatisfied. Now Eatwith has more than 25,000 hosts in 130 countries, allowing you to have dinner in someone’s home, take a cooking class or arrange a food tour. ‘Food is a great way of building bridges between cultures,’ says Camille, who assures me they have a very strict process for vetting and testing their hosts so there’s a certain level of quality control. She points out that in big cities where there are people from many different backgrounds, it can be a great opportunity to explore and get to know cuisines and environments that you might live right next door to, but don’t often come into contact with. Carine Ottou’s cosy dining room, less than ten minutes from my home in south London, is a case in point. 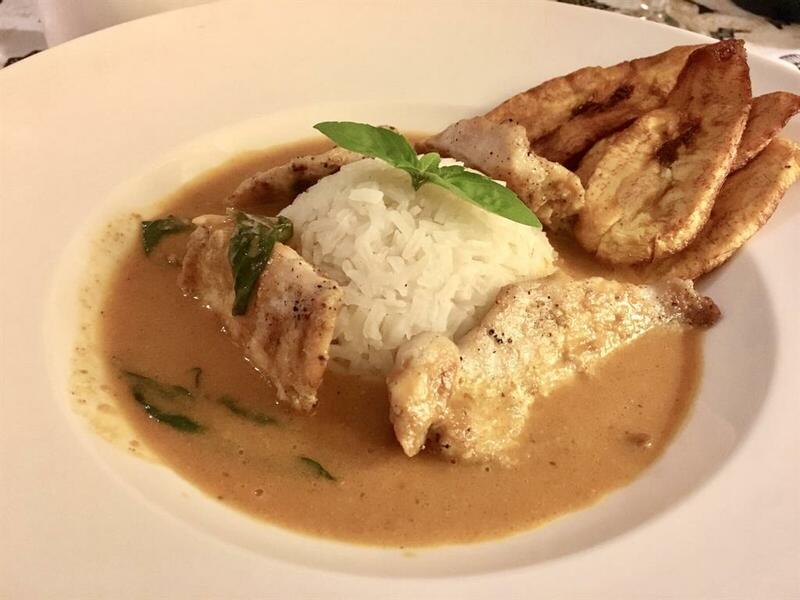 Carine grew up in Cameroon and France before moving to the UK and, while she and her husband loved eating out, a few years ago she found herself disillusioned with the sterility of the restaurant experience. ‘It lacked soul,’ she explains, over a glass of palm wine, a traditional drink from Cameroon. 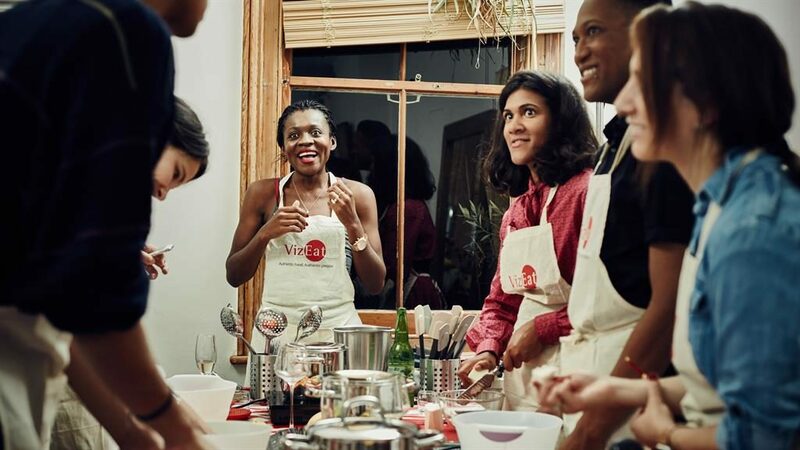 And so Carine started her own supper clubs and Cameroonian cooking classes, joined Eatwith and now regularly teaches a mix of locals and visitors the sort of cooking skills she learned from her grandmother and auntie. On the night I join her class, I learn how to cook banana puff puffs — little doughnuts that are a traditional street food made from cassava, banana and a little oil — as well as nfian owondo (see recipe below), a traditional Cameroonian stew made from peanuts and smoked chicken. As we follow her instructions, peeling and grating the cassava root, Carine talks about the origin of ingredients such as palm oil, and how the peanut paste we use in the stew is different from peanut butter. She explains to us how it is traditional to use two stones to crush the tomatoes, ginger, garlic and onions that make the base of the stew — and then admits that it’s quicker and easier to do it in a mixer, even if you don’t get quite the same depth of flavour. And as we go, Carine shares her experiences of growing up in Cameroon and talks about how, like many people, she uses cuisine as a way to connect to her roots. The food, it goes without saying, is delicious — the banana puff puffs even converted me, a lifelong banana hater — and I leave with a bag of her homemade caramelised peanuts and some of her amazing homemade sauces. The ginger and garlic #blondesauce is my favourite but chilli lovers swear by #hotchilli. You can find them at marielittlejar.co.uk. But I also take away a unique insight into a culture that is, very nearly, on my doorstep. 1. Preheat oven to 190C (fan), gas mark 5. 2. 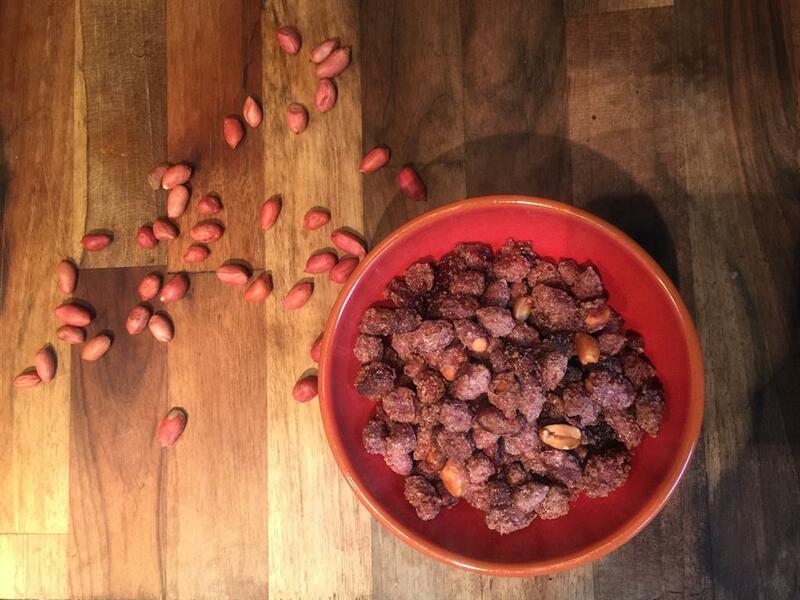 Line up a large baking tray and pour in the red peanuts. 3. Roast the peanuts for ten minutes or until the skin start to split. The peanuts should be mildly roasted but not overall ‘dark brown’. Leave the oven on. 4. In a medium saucepan, combine the roasted peanuts, 75g of sugar and water. Place over medium heat and stir gently until sugar dissolves. Stir gently every five minutes. 5. Let simmer and let water evaporate completely until a thick red syrup forms. Stir again to ensure the peanuts are coated with the sugared syrup. 6. Add the remaining 75g sugar and stir gently. Then leave it for five minutes. 7. The mixture should turn from crystallised to melting darkened syrup again. Stir quickly to avoid burning the sugar and pour your mixture back on the tray. 8. Use a fork to separate your peanuts and bake for five more minutes or until the coated peanuts have a shiny outer robe. 9. Leave to rest until completely cooled down. 10. Your candied peanuts are ready to be eaten once cooled and crispy. 1. Season the chicken with salt and pepper, add to water in a pan and bring to boil for 20 minutes at medium heat. 2. Blend half an onion, garlic, ginger and tomatoes and set aside. 3. In a large pot, heat oil over low heat. Slice half an onion, add it in and sauté, stirring for five to ten minutes. 4. Add tomato mixture and stir every five minutes until water has evaporated. 5. Add in boiled chicken and stir gently, at low heat. 6. Meanwhile, using the chicken stock, add in the peanut paste and stir. 7. Pour the chicken/peanut stock in the tomato mix and add the chilli. Let it simmer for ten to 15 minutes or until it has reached the desired thickness. I like mine more like a Thai green curry consistency (a soup). But it can also be eaten much thicker (similar to an Indian curry consistency). 8. Five minutes before it is ready, remove the chilli, adjust seasoning (salt and pepper), add in the basil and stir. This dish is best served with steamed fragrant rice and fried yellow plantain as a side dish.